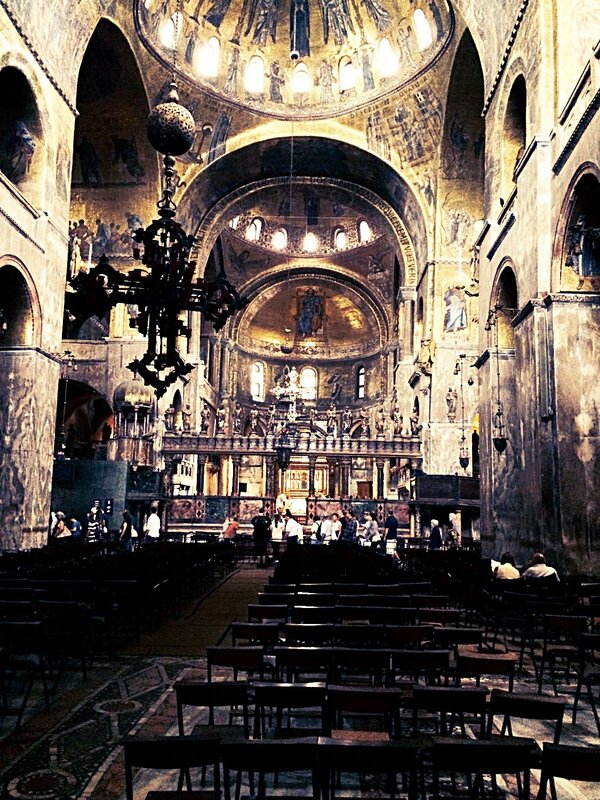 The photo above was taken at St. Mark’s Basilica in Venice, Italy. 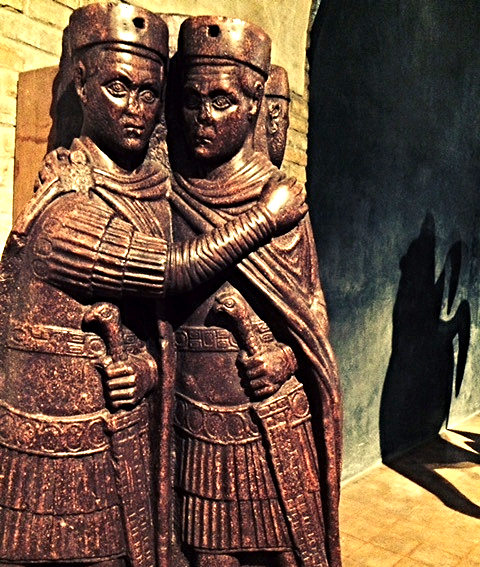 The carving was taken from Constantinople in about 1204, following the Fourth Crusade. 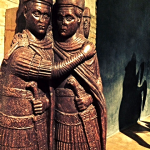 They are two of the “Four Tetrarchs”. The carving looks to be of the highly prized purple porphyry marble. This carving is now housed above the narthex, or porch of St. Mark’s, near the famous horses whose shadow can be seen in the background. 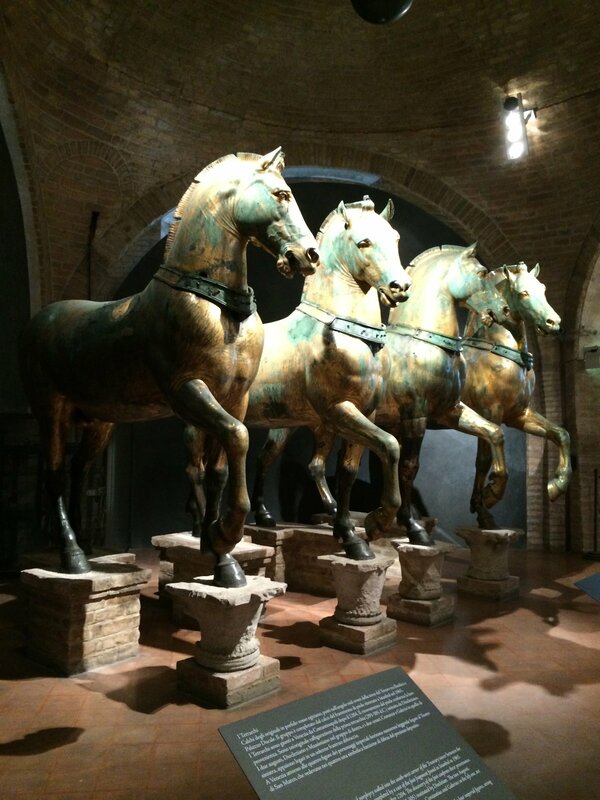 This is a photo of the quadriga of horses housed above the narthex of St. Mark’s Basilica in Venice. 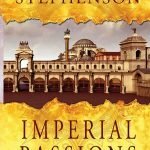 They were taken from Constantinople in about 1204 in the wake of the Fourth Crusade. 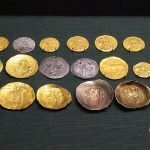 I bought a guide to St. Mark’s which coyly mentioned that many of the objects in St. Mark’s came from Constantinople when “they became available” – otherwise known as looting the city! 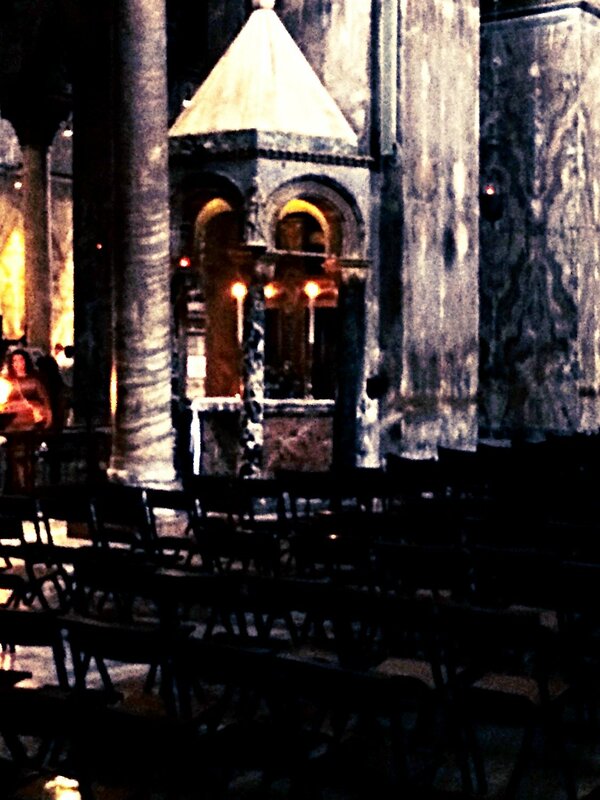 Here are a few other shots from inside St. Mark’s. 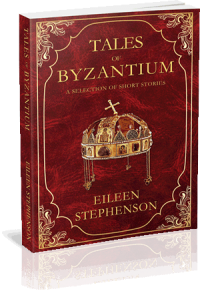 I spent most of my time in the church wondering what parts of it came from Constantinople. Many things, like the ambo and the iconostasis with what appears to be statues of the apostles on it look old enough to have been looted from there in 1204. I’m not sure how they could have looted the mosaic in the dome, though. A view of the nave to the altar of St. Mark’s. 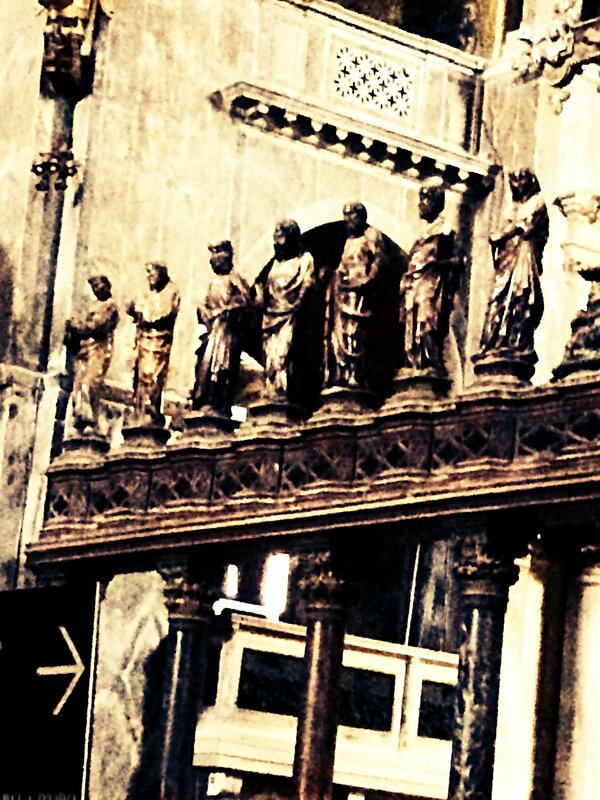 The iconostasis with statues of the apostles (?). The ambo. 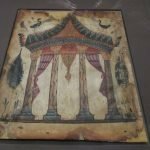 I really wondered about where this came from – maybe St. Polyeuctos, or the Hagia Sophia? It looked so old! The lovely gold dome in St. Mark’s. Then it is on to Ravenna. 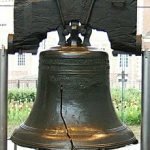 A charming city that is not easy to get to. Took the train (ferro via in Italian), had to change trains in Bologna. 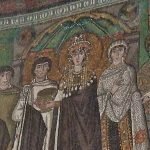 For those of us interested in Byzantine history, Ravenna is the best place to find examples of early Byzantine mosaics since so many of those in the empire were destroyed in the Iconoclastic period. 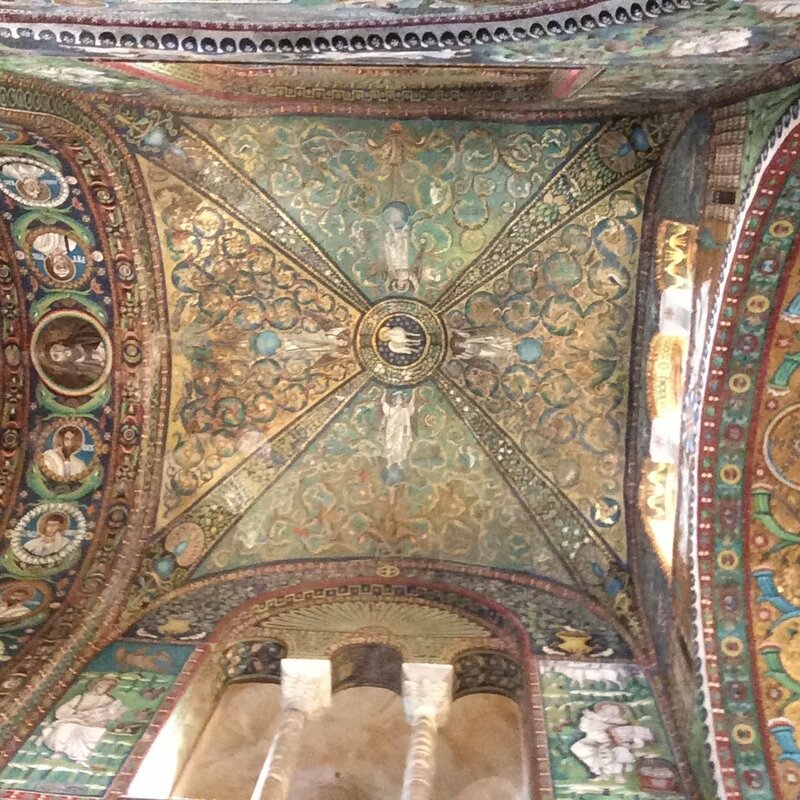 We took a day away from Venice to visit Ravenna since I had heard so much about the sites there. A single day, though, was not enough, although I did get to see the places I considered the most important. 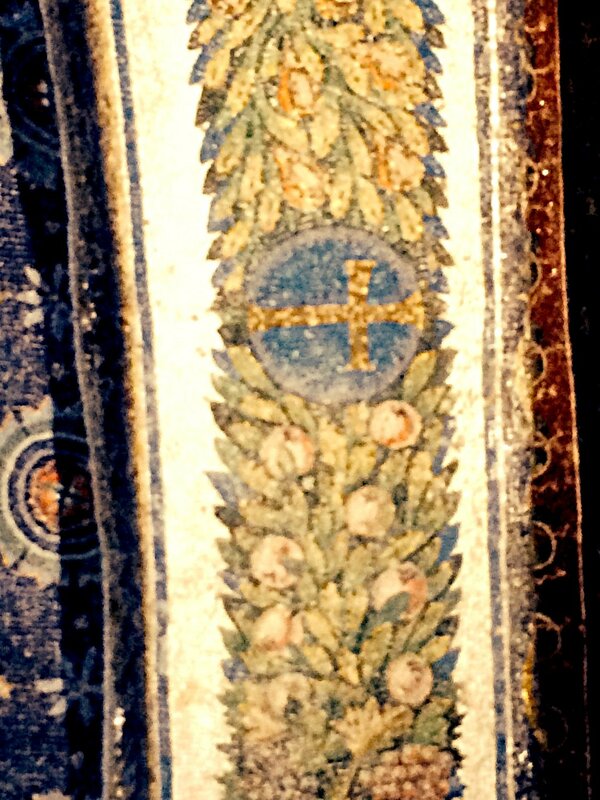 This photo was taken in the church of San Vitale. The mosaics in the magnificent church are about 15 centuries old and yet have the color and vibrancy as though just constructed. 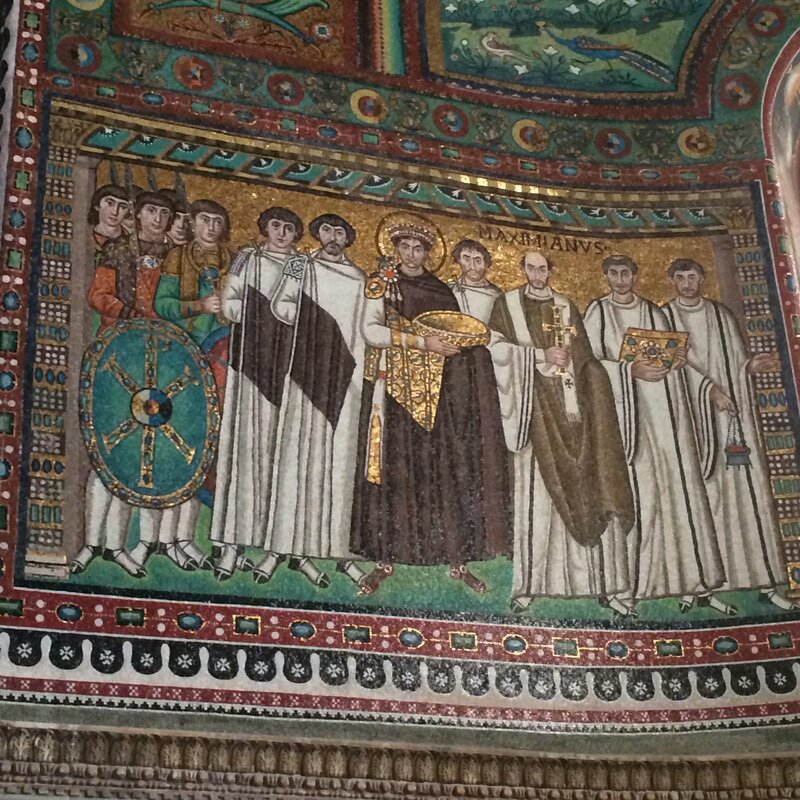 This mosaic has the Byzanine Emperor Justinian arrayed in gold in the center and is also in San Vitale. 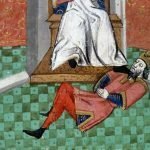 Above the men on the right is the name “Maximianus” – the name of the man standing just behind Justinian. 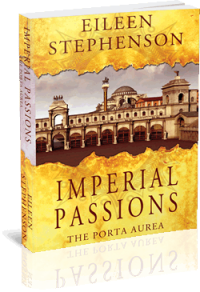 He was the local magnate who paid for the mosaic of Justinian and Theodora. 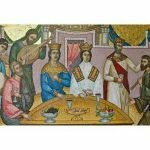 Empress Theodora, on the wall opposite the one with the Emperor Justinian. 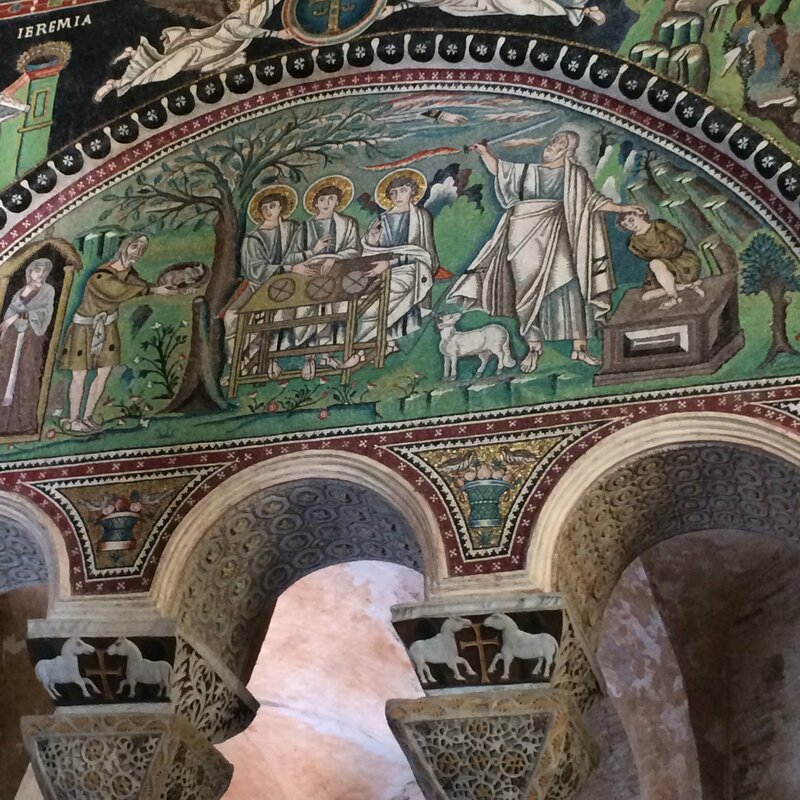 Some more of the lovely mosaics in San Vitale. 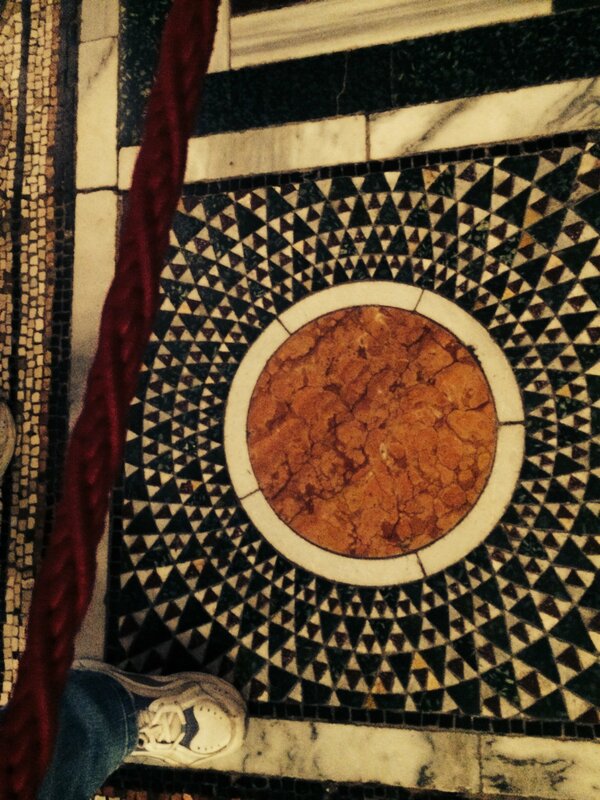 One of the intricate marble floor patterns in San Vitale. The ceiling in San Vitale. Next door to San Vitale is the Mausoleum of Galla Placidia. 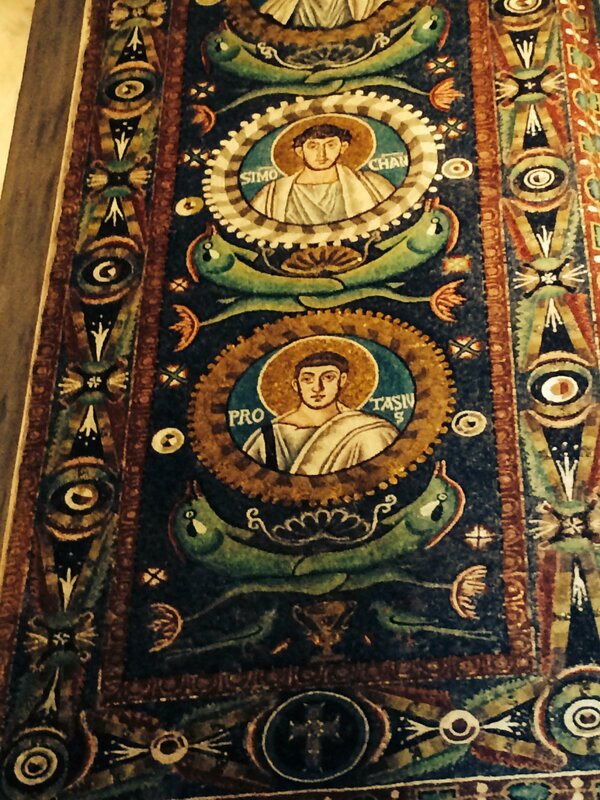 The mosaics are a little earlier than the ones at San Vitale, but both are still beautiful and vibrant. Another mosaic from the Mausoleum of Galla Placidia. 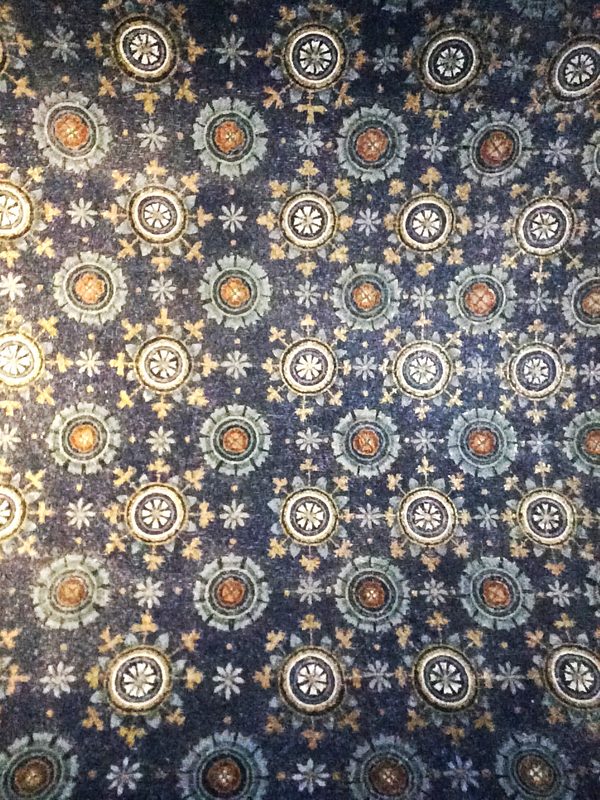 This is the star pattern that covers much of the wall space in the Mausoleum of Galla Placidia. We also visited a museum next to San Vitale which had a lot of Roman and Byzantine era artifacts. 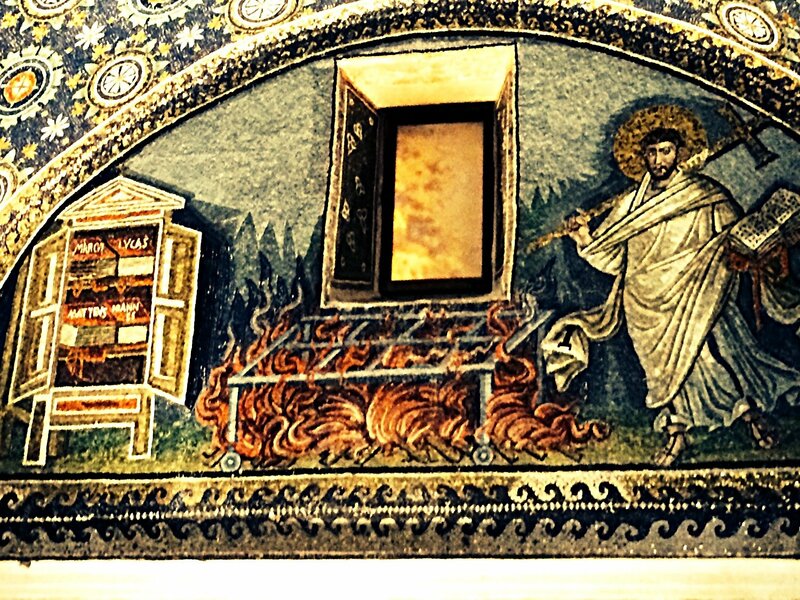 If you only have a day to see things in Ravenna, I wouldn’t spend time there. It was nice but it meant we ran out of time for visiting the Basilica of Sant’Apollinare. 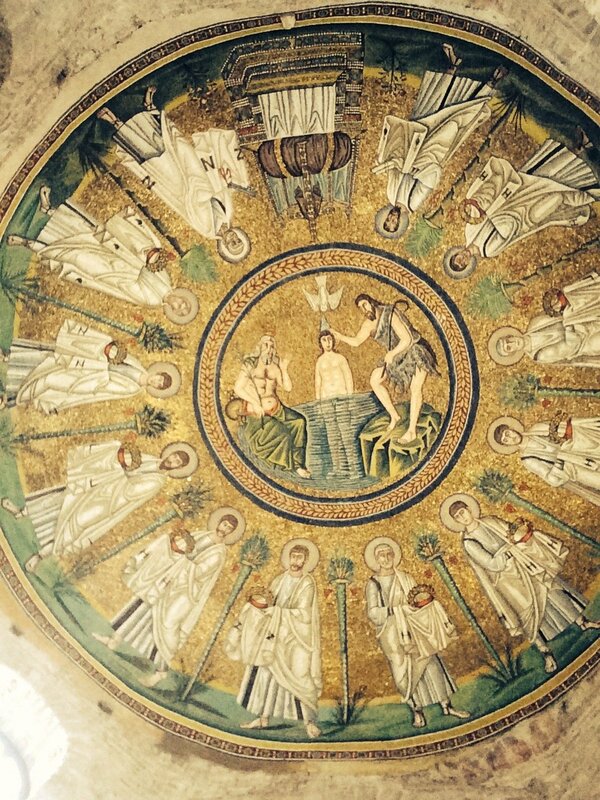 Finally, the last place we saw in Ravenna was the Arian Baptistry. It is a small building just off the road that runs from the train station to where San Vitale and the Mausoleum are located. We almost found it by accident. 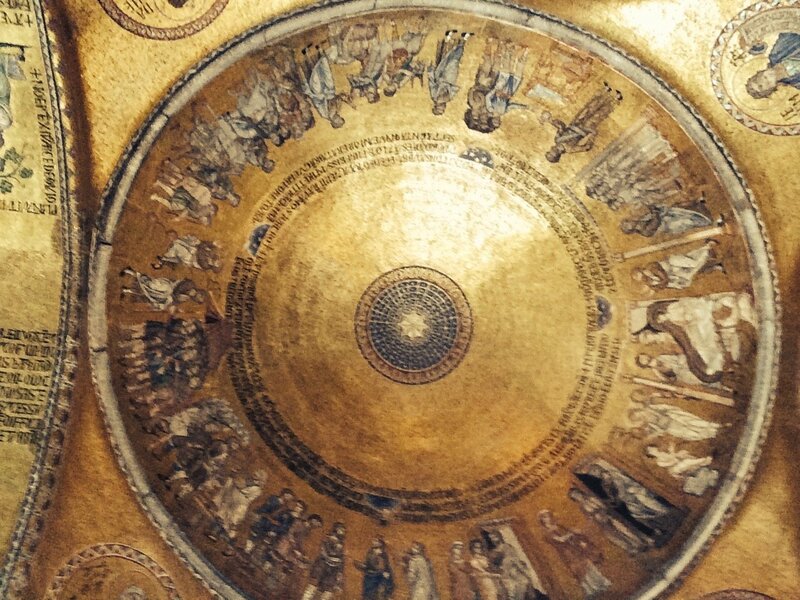 It is very plain on the inside, except for the wonderful mosaic of St. John baptizing Jesus in the dome. Since we did not have the time to visit the Basilica of Sant’Appolinare. I guess we will just have to make a return trip to Ravenna.